Welcome to Parking Games Free! We've put together a selection of the top free parking games here. No downloads needed, test your finesse! So you are looking for flash games that force you to think before you act? Games that don't rely on being trigger happy or spamming the left click button to win? Games that require good decision making skills and patience? If that's your cup of tea, then you should try out FREE parking games! And when it comes to free parking games, you are at the RIGHT place! ParkingGamesFree.com showcases only the best online and free parking games. Rather than setting the road on fire (as is usual in racing and other driving games), parking games...well, require you to park your car PROPERLY and without a scratch. PLUS, to make the whole thing challenging, you need to do that in a cluttered parking lot...filled with debris, road hazards, cars parked irresponsibly, etc. YES, free parking games are excellent tests of patience, steadiness, and good decision making skills. If you think you are good at it, then we invite you to bring out your game and compete for our top global scoreboards where only the best players get to. Score as high as you can and post it on our scoreboards for everyone to see! Classic Parking Games That Have Taken The World By Storm! If you are looking for the 'pioneers' (so to speak) in online parking games, you've come to the RIGHT place! Here you will find the likes of Super Parking World 2! This game, by the way, is on top of our list. Right now, it's the best there is when it comes to free and online parking games. For one thing, it comes with elements...components that are fresh. 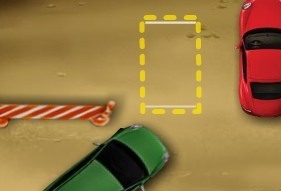 Features that you have NOT seen before in other parking games. And that could only mean twice the FUN! Taking Parking Games To The Next Level! If you think you are the best player there is for online parking games, then check out our MOST challenging parking games like Parking Master. It's different in other parking games because instead of parking just one vehicle in one spot per level, you need to park 3 to 4! And on top of that, you have a set amount of lives in the beginning. You cannot just retry as many times as you want. Dig in and put your parking skills to the test! Online And FREE Parking Games With A Twist! Looking for something a little different from the rest? A game that goes outside the box? Then you will love BIG Rig Driving School! In this game, you won't just be parking...you need to maneuver a semi truck around the obstacles, into the parking lot, and when you get to the right spot, it's time to do you thing: park it like a master! And those are just to name a few folks! If you are quite tired of the fast paced games out there, ParkingGamesFree.com has the games that will give you a refreshing change!